Pellets are not droppings but are regurgitated by owls as a way of getting rid of the indigestible parts of their food. They are mainly composed of hair and bone and have virtually no smell. Due to the species’ restricted diet, Barn Owl pellets are generally very uniform in colour, being black when fresh and gradually drying and turning grey. Although some other birds can produce grey pellets (such as Kestrel, Little Owl and Buzzard) none of these are black when fresh. Barn Owl faeces are watery and predominantly white although they can be black or black and white. They are sometimes seen on wooden roof beams, as splashes on the floor, on machinery, or in fact on anything that is underneath where the birds roost or perch. A nest debris (below left) is a layer of pellets produced in the nest that have been accidentally trampled and squashed (whilst soft) into a compacted mass. The individual pellet shapes are generally lost as they become amalgamated however there may be pellets from later roosting on top of a nest debris. A roost debris (below right) is a loose collection of pellets that has been deposited in or under a roost (e.g. in a tree cavity or on the floor of a building beneath a perch). Because the pellets dry individually with little or no trampling the debris looks like a pile or layer of individual pellet shapes and has little or no compaction. A disassembled Barn Owl nestbox showing a compacted nest debris. A Barn Owl roost debris on a loft floor – comprising about 200 pellets. It’s often possible to find both body and wing feathers in buildings, tree cavities, or nestboxes. Very small fluffy body feathers from a Barn Owl are typically white (sometimes grey) with a tiny quill. Larger feathers from the underparts are generally white. Upper body feathers have the classic golden hue with grey markings although the lower part of the feather is usually white. Wing feathers are moulted systematically over a number of years. Females tend to moult between May and August, whilst males usually start moulting in July and finish around October. If you find moulted feathers at a site it’s fairly safe to assume the site has been occupied over the summer months. 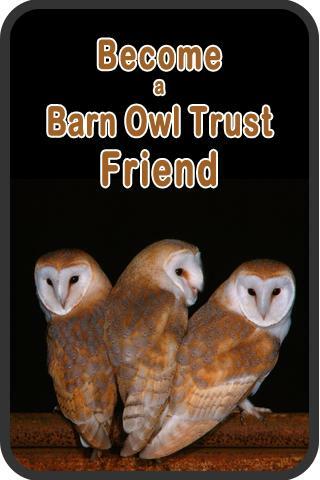 For more information on sexing male and female Barn Owls see our sexing Barn Owls photoguide. Unlike the very small fluffy body feathers from an adult Barn Owl, nestling fluff is a temporary feather extension so it has no quill. It is generally less dense with a sparse wispy appearance. Owlets (top) have shorter feather quills than adults (bottom). 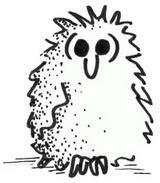 Owlets may be covered in fluffy down, or if feathered, may have downy extensions still present on the feathers. Before 6 weeks old, the body (skeleton) of an owlet is only part-grown. From around 4 to 9 weeks old, owlets have shorter primary wing feathers than the adults. Most of the owl sounds people hear in Britain are Tawny Owls. Barn Owls are relatively quiet birds that, under normal circumstances, rarely call. 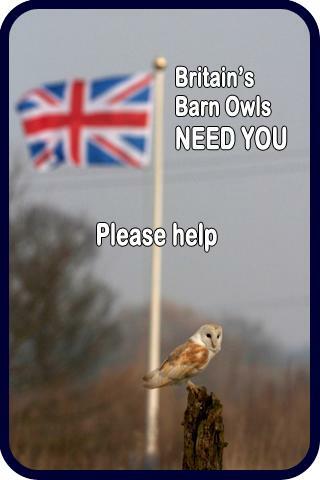 Indeed some people who have lived close to an occupied Barn Owl site for many years say they never hear them. However, at some sites, the only evidence that Barn Owls have nested may be reports from neighbours of odd snoring noises. These are the food begging calls of the owlets and are most likely to be noticed in May-June. Adult females may make similar calls earlier in the year as she waits for the male to feed her. At inaccessible potential nest sites, such as convoluted tree cavities, the only evidence available to prove nesting has occurred may be the characteristic ammonia-rich smell of the nest debris that soaked up the owlets’ faeces. The strength of the smell is related to the amount of food consumed in the nest (which determines the amount of faeces) and at close quarters the smell may be noticeable from about 2 weeks to about 14 weeks after hatching. If you want to experience this smell, please come on one of our training courses! In years with a high number of small mammals, food caches in nestboxes can build up. If you find a freshly dead small mammal on a Barn Owl nest debris in early spring then you can be quite certain that a Barn Owl left it there and that it was probably thinking about nesting. Food items can be present in the nest, or just outside, at any stage of the breeding cycle. Most Barn Owls, even unpaired ones, probably cache food at some time in the run up to the breeding season. Found evidence of occupation? 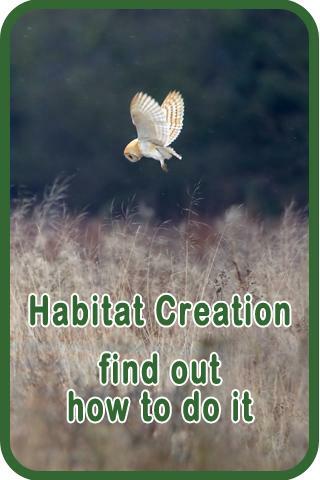 Now find out how to encourage Barn Owls. 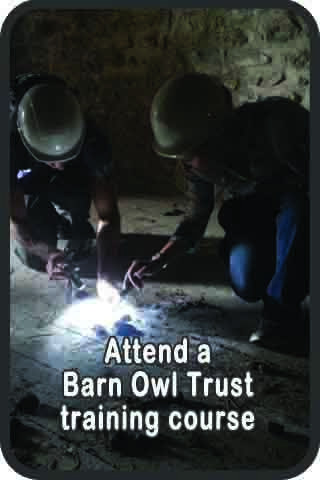 Learn how to survey for Barn Owls on one of our training courses. 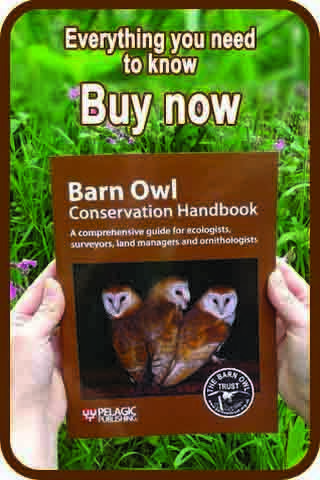 There’s more information on interpreting signs of occupation in the Barn Owl Conservation Handbook.